Unlike Pellon Fusible Flex Foam or Bosal In-R-Form 2 Sided Fusible Foam Stabilizer, Soft and Stable isn’t fusible. 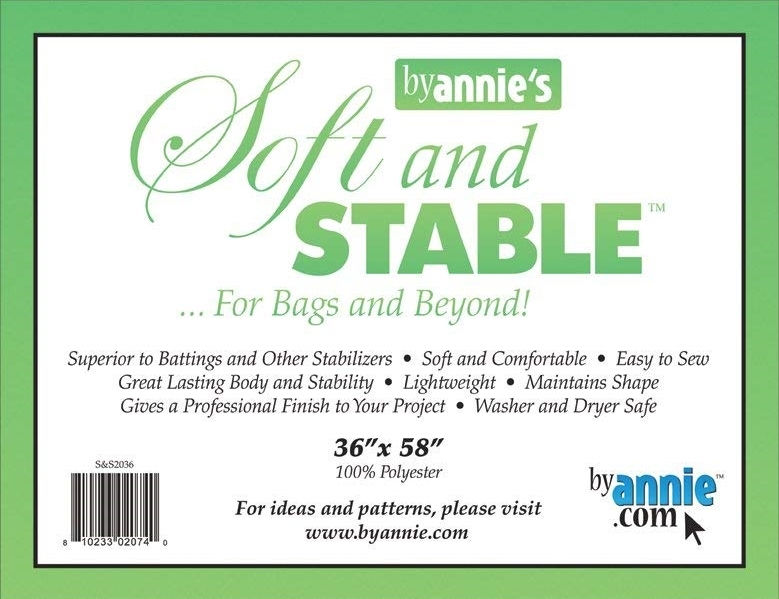 This was a deliberate choice, as explained in the educational videos on the ByAnnie.com website, as it prevents that “cellulite” look you sometimes see in bags interfaced with fusible batting, fleece, or interfacing/stabilizer. 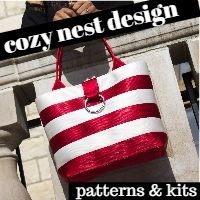 I find this works just great when I am working with bag or tote patterns with simple shapes that don’t have too many seams coming together in one area. 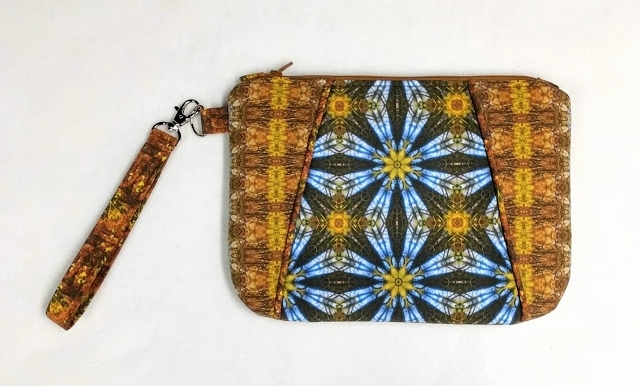 Wristlet made from Changing Seasons fabric collection by Beth Ann Williams. 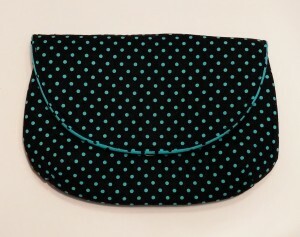 Sunshine Wristlet pattern by Bagstock Sewing Patterns. The foam in the seam allowances wasn’t a big deal for this bag; I left it in. 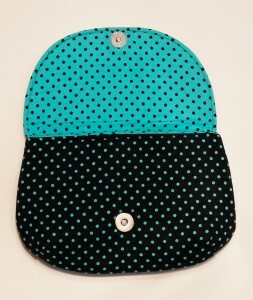 NOTE: This is currently a FREE pattern at Bluprint (formerly Craftsy). 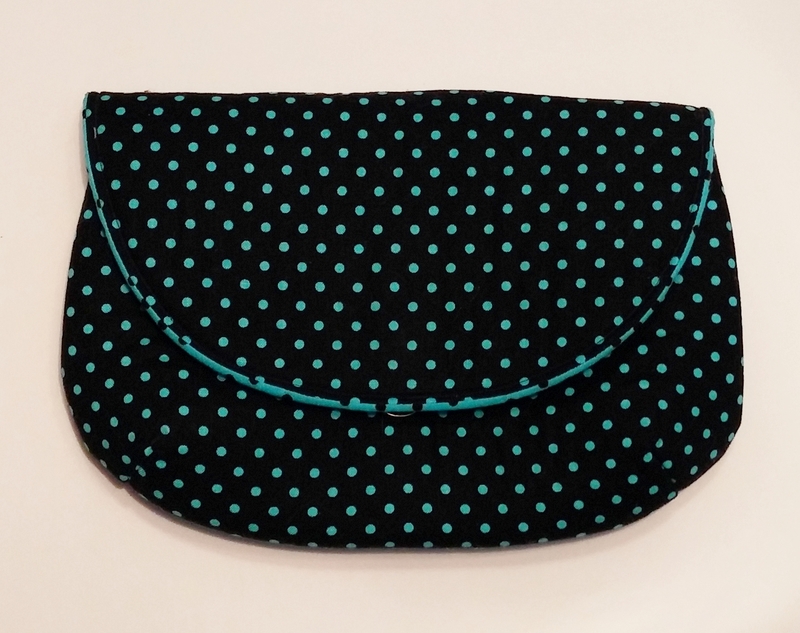 However, when I am working on a more complicated bag, a bag with multiple layers, or a bag with piping around the edges, I find that the extra bulk of the foam in the seam allowances can be very cumbersome and sometimes very difficult to sew through. I broke 3 needles while making my messenger bag! Messenger Bag made with fabric from the Changing Seasons collection by Beth Ann Williams. Based on Kantha Tote Bag pattern by PennyDog Patterns. 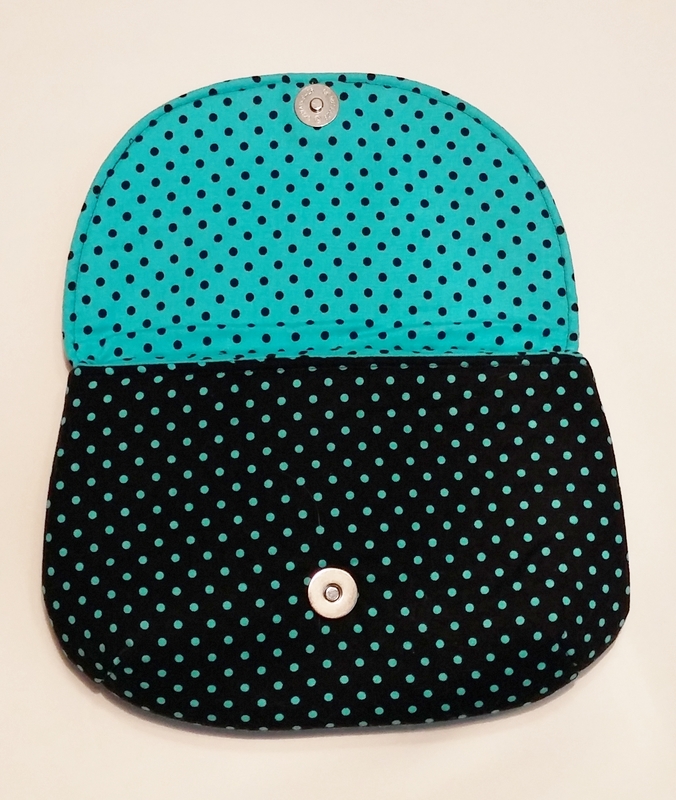 My normal preference when using thick interfacings such as foam is to (whenever practical) cut the interfacing without seam allowances – allowing me to sew right next to the interfacing, but not through it, when assembling my bag. This makes assembly much easier! However, it does require me to anchor the interfacing to the bag fabric in some way, usually by quilting at least a few lines, if not all-over. NOTE: you can easily quilt through Soft and Stable; just remember to use your walking foot or free-motion foot. Note: Similar options – and more! – are demonstrated in the instructional video series on the ByAnnie website. I highly recommend watching these videos. For simple bags – prep the pieces as recommended first on the website by stitching the fabric to the Soft and Stable inside the seam allowances and proceed as usual. Cut the Soft and Stable without seam allowances, and quilt it to the fabric (or at least anchor it with a few lines of stitching), keeping the Soft and Stable out of the seams entirely. When it comes to flaps for bags which I’ve interfaced with Soft and Stable, I go ahead and use Soft and Stable for the flap as well if the shape is simple; but sometimes switch to something like Pellon 987F Fusible Fleece, Thermolam or Fusible Thermolam Plus for the flap if I’m already working with layers that are so thick they are getting difficult to sew through. But I sometimes switch to something like Pellon 987F Fusible Fleece, Thermolam or Fusible Thermolam Plus for the flap if I’m already working with layers so thick that they are getting hard to sew through – in this case, layers of pieced fabric, piping, and straps, as well as the thickness of the foam. 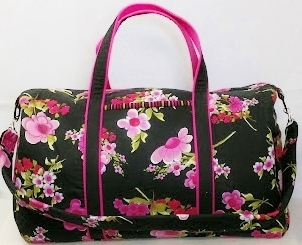 Messenger Bag made with fabric from the Changing Seasons collection by Beth Ann Williams. Based on Kantha Tote Bag pattern by PennyDog Patterns. Clover Wonder Clips (or these generic versions) are MUCH easier to use than pins when working with thick or lofty battings, and interfacings/stabilizers such as Soft and Stable. Switching to a size 80 Jeans or Topstitch needle or a size 90 Quilting Needle instead of the size 75 I would normally use, helped avoid/correct skipped stitches and/or needle breakage. Will I continue buying Soft and Stable? Absolutely! It seems a little bit loftier and softer than Bosal In R Form Double Sided Fusible Foam Stabilizer and a little softer but also a little bit less lofty than the Pellon Flex Foam 2 Sided Fusible Stabilizer , so which interfacing/stabilizer I choose will depend on the project I am working on – and to be quite honest, on what I happen to have on hand that day, since they are pretty comparable.